In contrast to the physical studies, landscape preference studies involve the community in assessing scenes and rating their scenic quality. Because they require people to assess the scenes, preference studies have been regarded as more resource intensive than physical studies. However with the availability of the Internet to gain community aesthetic preferences as well as digital cameras and computer based statistical programs, the major impediments against the use of preference studies have diminished significantly. Table 1 summarizes characteristics of the 32 studies which assessed the community’s scenic quality preferences, including several which combined physical assessment with preferences. The use of preference studies has accelerated: five each in the 1970s, 1980s and 1990s, and fourteen since 2000. The studies have been spread fairly equally between Queensland (6), New South Wales (7) and Victoria (6), but there have been eleven in South Australia, including eight by this author. Leaving aside the South East Queensland study which used 15,000 photographs, the mean number of photographs used in preference studies was 77 (SD 59). The minimum was 5, the maximum 240 (Figure 1). Apart from this author, only one other study used scenes from other locations to benchmark the scenes and provide a comparison. The other study was that of the Wet Tropics World Heritage Area in Queensland which used scenes from other WHA areas for comparison purposes (Prineas & Allen, 1992). The sample size of participants ranged from 10 to over 2400 with the mean 531 (SD 705). However this does not convey the whole story. Since the availability of the Internet, large samples have been made economically and practically possible. Figure 2 indicates that nine of the studies have used samples of 1000 and greater and all of these have occurred since 2002. Prior to this, the mean sample was only 127. The methods used to elicit scenic quality preferences of scenes were mainly rating and ranking instruments (Table 2). Ratings against a scale (e.g. 1 – 10) provide an absolute measure of scenic quality (interval scale), whereas rankings which compare one scene to another provide only a relative measure (ordinal scale). Only ratings from one study can be compared with ratings from another study; rankings cannot be compared. Some studies used more than one method. Ratings require the respondent to choose a number on the rating scale representing the scenic quality of the scene; rankings and Q sort require the respondent to place the scene in order relative to other scenes; bi-polar uses a like – dislike continuum; components checklist require the respondent to identify components in the scene. Other tools include scores of naturalness, ecological integrity and familiarity. A range of rating scales was used with 1 – 10 being the most popular (Table 3). Odd numbered rating scales (e.g. 5, 7) enable the median to be an integer with equal number of ratings on either side. Adopting a common rating scale would better enable comparison of ratings between studies. Regarding the use of the zero as the baseline, it is difficult to conceptualize the appearance of a landscape of zero value – i.e. the complete absence of aesthetic appeal. A flat, featureless plain which might be regarded as of minimal scenic quality has some appeal as attested by papers on the Canadian prairies (Evernden, 1983) and Great Plains of the US (Cook & Cable, 1995). Even the Hay plain, the archetypal boring Australian landscape, has intrinsic visual appeal. In seventeen studies, the landscape characteristics present in the landscape which may explain its aesthetic quality were evaluated. The landscape characteristics included naturalness, diversity, vegetation height and density, landform characteristics and the presence of water. The number of landscape characteristics varied from 5 to 114 (Figure 3) however, without the two studies with more than 100 dimensions, the average was 14. In these two studies with more than 100 characteristics (Preston, 2001a and b) the actual number of characteristics used in modeling was only six and seven. The landscape characteristics used in the preference studies totaled 193. The majority of these, 86% were feature specific (e.g. trees, buildings, water) and 14% were generalized characteristics such as naturalness, diversity, harmony or human impacts. Vegetation, trees and forests dominated with water-related, buildings and structures, and agricultural features following (Table 4). Table 5 details the variations found in the vegetation, water and artifact landscape characteristics. Vegetation was dominated by its physical characteristics (e.g. height, form, density) followed by type (e.g. eucalyptus, alpine, pine). Health of vegetation was well covered. Water characteristics were dominated by descriptions of the water bodies followed by their interface with the land. Buildings dominated as artifacts. Other urban uses included residences, commerce and industry. Excludes Williamson & Chalmers, 1982 which used 29 dimensions and achieved an R2 of 80%. The main purpose of defining landscape characteristics by these studies was to enable the use of multiple linear regression analysis and other statistical tools to model the relationship between these dimensions and scenic quality. The correlation coefficient, R2, was used as the measure of how well the model explained the scenic quality. An R2 of say, 0.8 explained 80% of the variance. Figure 4 compares the number of landscape characteristics and R2 and indicates there to be no relationship (y = 0.0003x + 0.67, R2 = 0.00001). Indeed a higher R2 was found by some studies using only six factors as studies which used twelve. The careful selection and scoring of factors is critical to achieve a high R2.The use of preference studies has accelerated: five each in the 1970s, 1980s and 1990s, and fourteen since 2000. The studies have been spread fairly equally between Queensland (6), New South Wales (7) and Victoria (6), but there have been eleven in South Australia, including eight by this author. Ten of the 30 preference studies produced a map of landscape quality, including four by this author. The first map was produced by Radford and Bartlett in 1977 of the Lower Hunter Valley. Queens-land and South Australia scored most of the maps with four in Queensland and five in South Australia (Table 6). Having examined the overall characteristics of preference studies, the following section details some of the studies. An early Australian study using preferences was in 1976 in South Australia where the Nature Preservation Committee of the National Trust engaged Dr Phillip Kane from California to develop a method of landscape assessment (Kane, 1976, 1981). The study is detailed here as it illustrates the complexities that can be injected into an otherwise simple method in an attempt to rate scenes. Table 7 classifies the methods by landscape and appraisal. All four methods provided scores within range 0 – 100 (least – most attractive). Each view or site was evaluated by all four methods, providing an independent set of responses. The conversion of the evaluations using these tools to ratings relied on complex calculations which are summarized below. Bipolar scores Used 14 adjective pairs and scored each out of 10. Averages for all respondents were multiplied by a weighting factor to produce a score which could range from 49 to 343, and which was divided by 3.42 to yield a score out of 100. Components checklist Scored each component on a scale: -2 to +2 (bad to excellent). Total number of items checked by each observer (= N). Scores for each component added (= S). Count up total number of items scored +1 and +2 by each observer (= P). Checklist score for each observer (I) = 10(S)/N + √P where 10(S)/N is a measure of component quality, and the factor √P is a positive measure of landscape diversity. View’s total score (T) by summing individual scores (I) and then divided by number of observers (B). View score not reliable unless evaluated on-site by minimum 10 observers. Convert score T to base of 100 points. Enter slide dimensions – width, height, area, sky are, landscape area, area & percentage of the landscape of land cover, water, ground types, land uses, human impacts, background (>0.4 km), area above observer. Sky area should be no more than 25%. Calculate scores using percentage recorded and some ratios of these values – e.g. woody/total vegetation, woody/water. Total out of 80. Included coastal and non-coastal scenes. Observers scored these and average scores for all observers were obtained. The method involved a small group of people traveling through five regions and recording their assessments of views (Table 8). The factor equation method proved troublesome being dependent on photographs which were often deficient, and involved a lengthy process. Although results were expressed in percentages, it was not possible to reach 100%. The highest figure exceeded 85 and generally the higher scenic quality averaged 70 or higher. The rejection of the marker scene and factor equation methods resulted in only the bipolar and components checklist being accepted, both of which relied on emotional response (Table 7). The Committee proposed 26 scenes as Classified and 13 as Recorded. The methods could only be used to assess views from specific locations and were not suitable for mapping regional landscape quality. The small number of participants resulted in a large sample error (31%) which significantly affected the validity of the results. In his efforts to make objective the assessment of scenic quality, Kane unnecessarily complicated what should be a simple process. Dare (1978) followed Kane’s (1976) study and classified landscape character for a portion of Fleurieu Peninsula in South Australia. He used ten assessors to view slides and scored elements. The impact (0 – 2) of each element was multiplied by their contribution to scenic quality (-2 to +2) and scores summed for each landform. A landscape quality map was not completed. In a follow up study to studies by Kane (1976) and Dare (1978) for the National Trust, Revell (1981) assessed the entire Fleurieu Peninsula. He defined ten tracts, selected ten slides for each tract covering landforms, water, vegetation and man-made forms both close-up and from a distance, involved ten participants and used Kane’s bi-polar scale method. He then had five people score the remaining photographs in comparison with the representative photographs and scaled out of 100. Unfortunately Revell did not translate the scores into a map of scenic quality. However, his approach had some of the key elements of a workable method. It used photographs and a rating scale but had far too few participants. “Grant Revell has made interesting advances on earlier work; additionally, he has explored further the production of a landscape map, but the ideal still eludes us…” (Revell, 1981). Radford & Bartlett (1977) used a process similar to Q sort in which 164 participants sorted 15 photographs into five groups, from very positive to very negative. The results were used to map scenic quality. Although the number of photographs was small, the approach was sound and the reasonably large number of participants would have provided fairly valid results. Another early study using preferences was by Williamson & Chalmers (1982) in northeast Victoria. The study was used to validate the assumptions about preferences in the Visual Management System which was being developed by the Victorian Forests Commission. The method (Figure 5) used several techniques to gain rankings and ratings of photographs of the region. A 1 – 7 scale was used, unusual in that it was the only study which reversed the normal low-high sequence (i.e. 1 was high, 7 was low). The findings of the study were considered to validate the assumptions of the Visual Management System although it found the VMS placed too much emphasis on landscape variety and insufficient emphasis on naturalism. Correy (1984) used 12 photographs of Sydney Harbor and 40 participants to assess significant components and then a second group of 100 participants used a bi-polar semantic scale with 24 variables to rate the scenes from most liked to least liked. The study found that people’s preferences ranged widely. Prineas & Allen (1992) used a preferences approach to measure and map scenic quality in the Queensland Wet Tropics World Heritage Area (Figure 6). Over 300 landscape units were defined and a representative sample of 80 selected for photography. Oblique aerial photographs from a helicopter were used due to the inaccessibility of the area, a method criticized by Ramsay (1992) as missing the scenic or aesthetic values of the forest environment. An attempt had been made to include scenes below the forest canopy but was not completed. Criteria were set for the photographs and, unusually, a wide angle 28 mm lens used. The survey comprised 80 scenes from the region and 10 scenes from other WHA areas or elsewhere in Australia for comparison purposes. A sample of 306 random passerbys used a self-guided survey with a rating scale of 1 – 15 (low – high). Using multiple linear regression analysis, eight landscape dimensions were found significant: rivers & streams, coral reef, coastline, human disturbances, boundary interferences, water bodies, dense forests, and slopes 25º – 40º. Only 9 of the 307 land units, mostly coastal ranges, were found to exceed the WHA threshold of 11, a figure based on the score for Kakadu. The use of the 15 point rating scale is curious and could have provided difficulties for participants. The study is the only Australian landscape study which used aerial oblique photographs. In Queensland, Preston (2001) carried out two studies of areas near Brisbane. He used a five stage process commencing with a scenic preferences survey in which over 200 participants rated 52 photographs (Mogill study) and 21 photographs (Glen Rock study) (Figure 7). The results were used to identify 110 attributes based on which a scenic preference model was developed, however only 14 attributes were used to predict emotional response and six attributes in the scenic preference model. This model was used to map scenic preferences. GIS was used to map visual exposure – the frequency of view from various locations. Scenic amenity was mapped combining the scenic preferences and the visual exposure. The method was sophisticated and thorough. The scenic amenity map integrated the preferences with visual exposure to identify the relative contribution made by different places in the landscape to the collective community appreciation of scenery. (Preston, 2001). Preston’s method was applied in the largest scenic quality study ever undertaken in Australia, the South East Queensland Regional Scenic Amenity Study (SEQRSASSC, 2005). The study used over 15,000 photographs and interviewed 1000 participants. The public preferences survey identified characteristics of views that influenced scenic preferences and based on this, maps of highly preferred scenery were prepared. The scenic preferences were combined with maps of visibility to map scenic amenity on a 1 – 10 scale. Williams and Cary (2002) used black and white photographs of five vegetation types from Victorian rural areas. They used 36 photographs and a five point rating scale. The survey was mailed to 3000 respondents (half urban, half rural); the large number involved probably justifying the use of black and white photographs. The study identified a higher preference for eucalypts than non-eucalypts with perceived naturalness being a key influence. Interestingly, no relationship between ecological quality and preferences was detected. Of concern was the use of black and white photographs which emphasizes the formalist qualities of line, tone, texture etc while losing the qualities and realism that color imparts. Black and white photographs also tend to produce more extreme responses than color photographs (Shuttleworth, 1980). In a series of nine studies, the author has measured and mapped scenic quality in various areas of South Australia and assessed the visual impact of developments (Lothian, 2000, 2004, 2005a & b, 2007a & b, 2009, 2013, 2015). The method (Figure 8) involves photographing the region, classifying landscape units and selecting around 120 sample photographs to represent the area plus 30 South Australian scenes to benchmark the ratings at a State level, having a large number of participants rate the photographs on a 1 – 10 rating scale (low – high), having a small number of participants also score landscape dimensions on a 1 – 5 scale, and analyzing the results, including with multiple regression. Maps of landscape quality have been produced for the South Australia, the entire coast, Barossa region, River Murray region, Flinders Ranges and Mt Lofty Ranges. The scenic amenity provided by large remnant trees, the visual impact of wind farms and developments in coastal and River Murray localities, and generic landscape ratings have also been assessed. The method used in the Regional Forest Agreement process was described earlier. These studies used a combination of the physical and preference methods, the later derived from extant cultural information sources. Brouwer, C. and Chenoweth & Assocs., 1994. A Visual Landscape Evaluation Procedure for the Queensland Coastline: The Whitsunday Region Trial. Dept of Environment and Heritage, Coastal Management Branch. Brisbane. Correy, A. 1982. Sydney Harbour Scenic Assessment Study. Master of Environmental Studies Thesis, Macquarie University, Sydney. Cook, P.S. & T.T. Cable, 1995. The scenic beauty of shelterbelts on the Great Plains, Landscape and Urban Planning, 32, 63 – 69. Dare, R.J., 1978. A Landscape Study of the Fleurieu Peninsula, Stage One – The Inman, Hindmarsh, Back Valley Landscape Tract. National Trust of South Australia, Adelaide. Davis, K.J., 2003. Valuing remnant vegetation in metropolitan Adelaide: a comparison of ecological integrity and visual quality. M.L Arch thesis, University of Adelaide. Adelaide. Kane, P.S., 1976. Evaluating Landscape Attractiveness – A Review of Problems and Methods, and a Technique Developed for the National Trust of South Australia. Lamb, R.J. and Purcell, A.T., 1982. A Landscape Perception Study of the Peninsula Area of Warringah Shire: Implications for Planning Controls, Building Regulations and other Areas of Council Activities. Dept of Architecture, University of Sydney, Sydney. Lamb, R.J. and Purcell, A.T., 1990. Perception of naturalness in landscape and its relationship to vegetation structure. Landscape and Urban Planning, 19, 333 – 352. Lothian, A., 2000. Landscape Quality Assessment of South Australia. PhD dissertation, University of Adelaide, Adelaide. Lothian, A., 2005a. 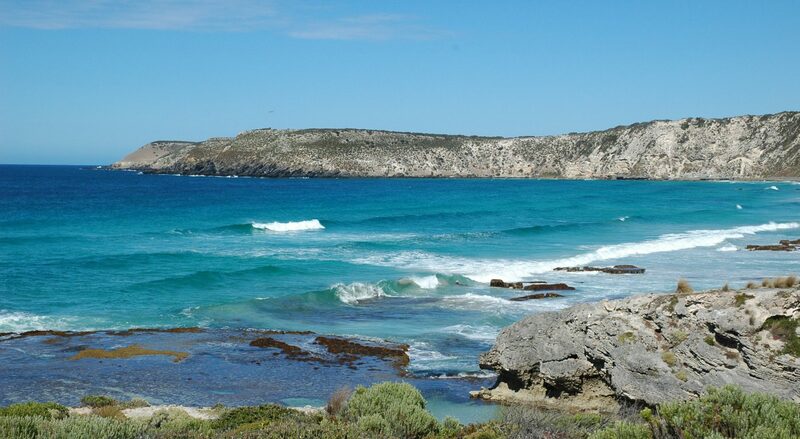 Coastal Viewscapes of South Australia. Report for the Coast Protection Board, South Australian Department for Environment and Heritage, Adelaide. Lothian, A., 2007a & b, South Australian River Murray Landscape Assessment Project. Report for the Department of Water, Land and Biodiversity Conservation and the South Australian Murray Darling Basin Natural Resources Management Board. Adelaide (included the River Murray Development Survey). Lothian, A., 2009. Flinders Ranges Landscape Quality Assessment Project. Report for the South Australian Department for Environment & Heritage. Lothian, A., 2015. Mount Lofty Ranges Landscape Quality Assessment Project. Scenic Solutions, Adelaide. Preston, R., 2001. Scenic Amenity Measuring community appreciation of landscape aesthetics at Moggill and Glen Rock. Dept of Natural Resources and Mines and Environmental Protection Agency, Brisbane. Purcell, A.T. and Lamb, R. J., 1984. Landscape perception: an examination and empirical investigation of two central issues in the area. Jnl Environmental Management, 19, 31-63. Purcell, A.T., Lamb, R.J., Mainardi Peron E. and Fachero, S., 1994. Preference or preferences for landscape? Jnl Environmental Psychology, 14, 195 – 209. Purcell, A.T., and Lamb, R.J., 1998. Preference and naturalness: an ecological approach. Landscape and Urban Planning, 42, 57 – 66. Radford, A. and Bartlett, R., 1977. Visual Analysis Visual Preference Survey: Hunter Regional Plan, Working Paper 22. NSW Planning and Environment Commission, Sydney. Raymond, C. and Brown, G. 2006. A method for assessing protected area allocations using a typology of landscape values. Jnl Environmental Planning and Management, 49:6, 797 – 812. Revell, G.R.B., 1982 Further Studies in Evaluating the Landscape Attractiveness of the Fleurieu Peninsula. National Trust of Australia (South Australian Branch), Adelaide. Simson, R.P., 1977. The Evaluation of Scenic Quality – an application to the Gold Coast Hinterland. MSc Thesis, Griffith University. South East Queensland Regional Scenic Amenity Study Steering Committee, 2005. What’s in a view? South East Queensland Regional Scenic Amenity Study. Williams, K.J.H. and Cary, J., 2002. Landscape preferences, ecological quality and biodiversity protection. Environment and Behavior, 3:2, 257 – 274. Williamson, D.N. and Chalmers J.A., 1979. A study of public perceptions of forest scenic quality in Bright, Victoria. Unpub. report. Landscape Management Section, Forests Commission Victoria, Melbourne. Williamson, D.N. and Chalmers J.A. 1982. Perceptions of Forest Scenic Quality in Northeast Victoria. A technical report of research phases 1 and 2. Forests Commission, Victoria, Melbourne. Wu, Y., Bishop, I., Hossain, H., and Sposito, V., 2006, Using GIS in landscape visual quality assessment, Applied GIS, 2:3, 18.1 – 18.20. Zube, E.H. & Mills, L.V., 1976, Cross-cultural explorations in landscape perception, In: Zube, E.H. [Ed], 1976. Studies in Landscape Perception, Publication R-76-1, Inst for Man and Environment, University of Massachusetts. Amherst. p. 162 – 169.